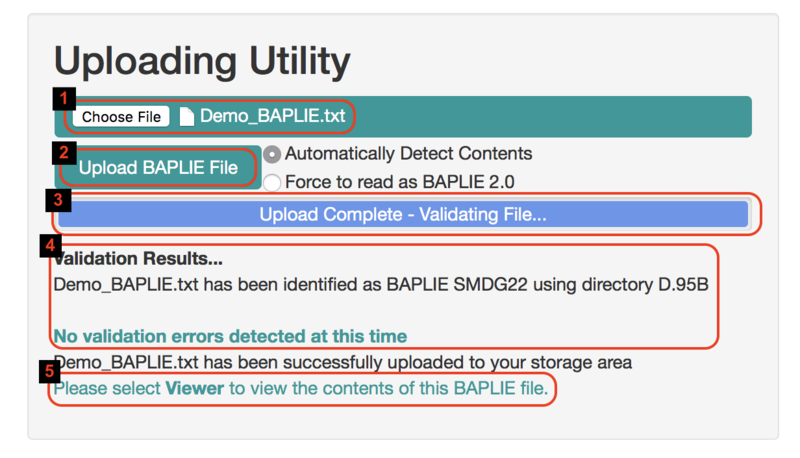 Use the uploading utility to upload a BAPLIE file. We look at the content of the file to determine the correct mapping to use based on SMDG specifications. The file will be validated for against the SMDG specification, and any file structure issues will be highlighted. View all content of the BAPLIE file in an easy yet powerful data table. Customizations made to the table layout are saved to your user account for use on all future BAPLIE files that are viewed. Select one or more records from the BAPLIE file and click the Edit icon to correct or modify the data. 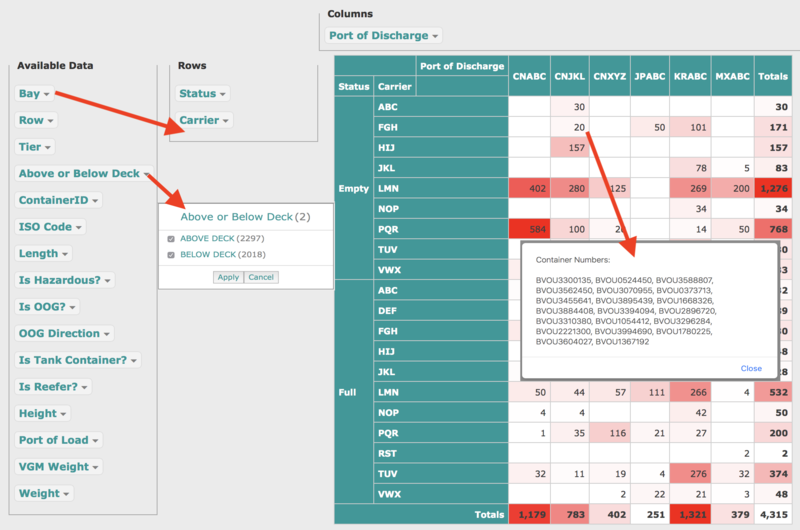 Use this feature to quickly correct the BAPLIE if containers destined for a different port need to be discharged elsewhere in only a few clicks. Correct missing data that would prevent the file from loading in another product such as a missing ISO Code. 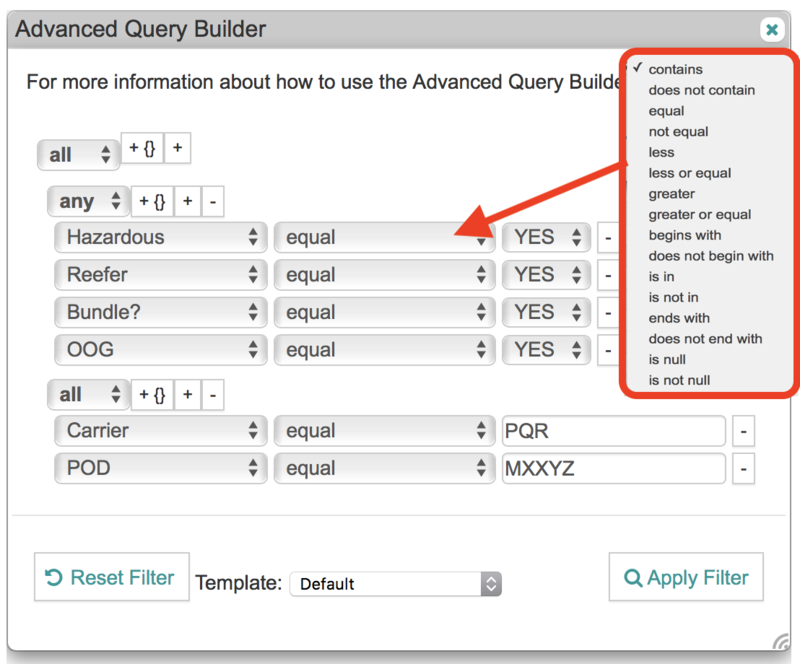 Build advanced queries that can be used to quickly find containers that are of importance. Use the Pivot summary form just like an Excel Pivot table. Drag attributes to the Row or Column to get counts of containers by any criteria you wish. Click the counts to get a list of the container numbers. Print to PDF all containers on the ship using the PRINT Full Cargo View button from within the 2D or 3D Viewer. Customize the attributes you wish to color by, and how many bays per page. copyright Copyright 2018 - TEDIVO, LLC. All rights reserved.